Set on Saute mode, let pot heat up stirring occassionally. Once the batch has cooled completely add in the Everclear & the other cup of Peach Schnapps. 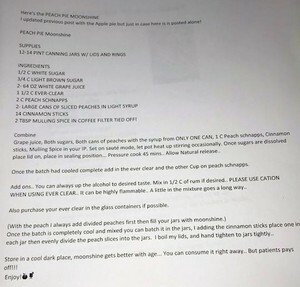 Divide the peaches and add to jars. 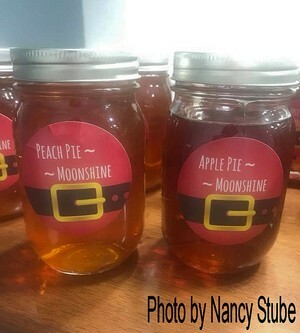 Pour moonshine into the jars.